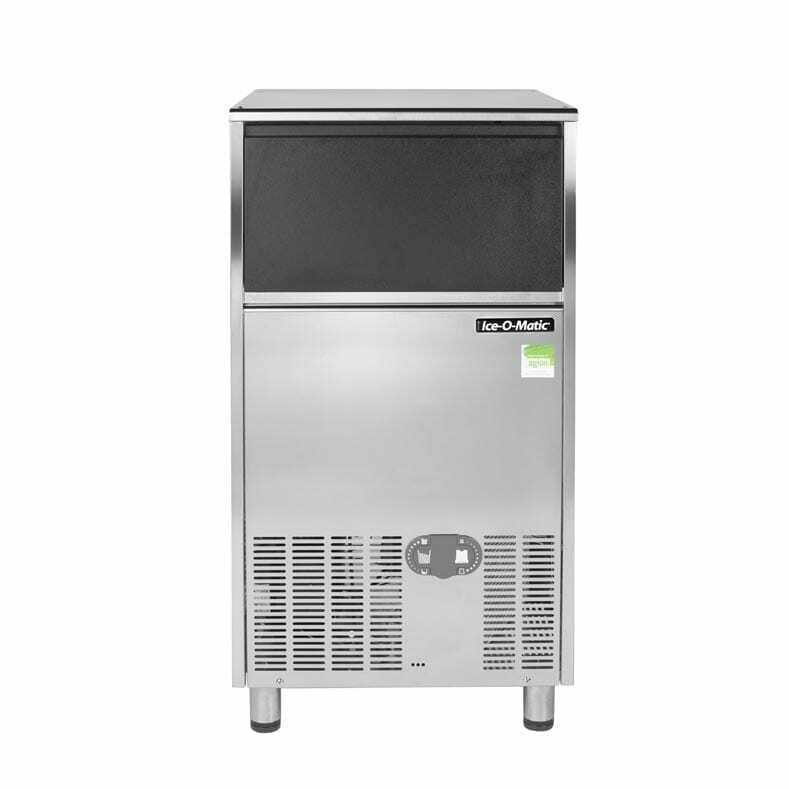 In need of a soft, flaky ice format but worried that it won’t last long in the scorching Aussie temperatures? 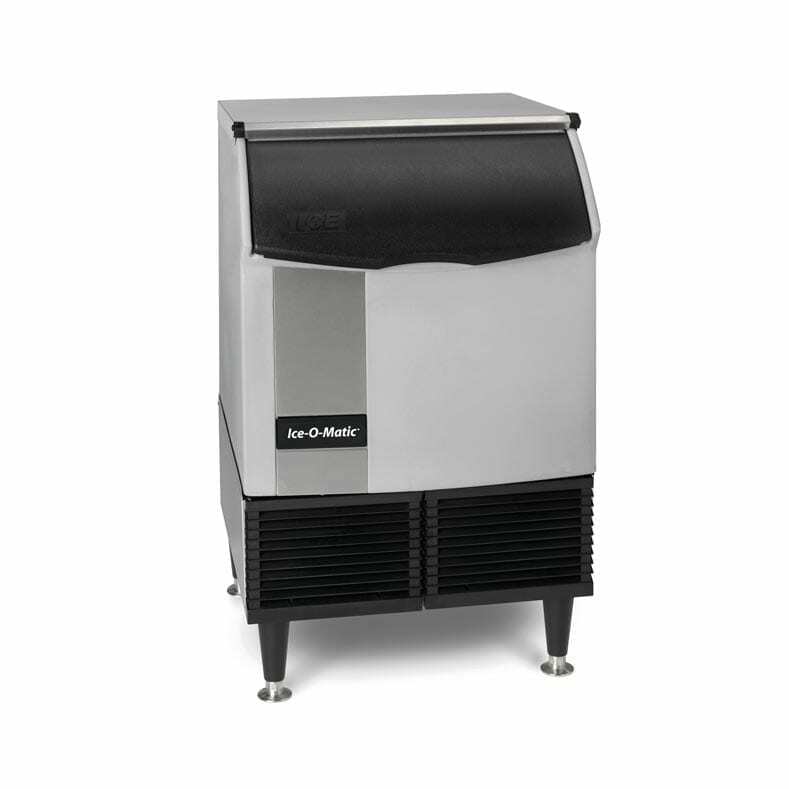 Dodge the meltdown with the ICEF155, a quality, slow-melting flake ice maker by Ice-O-Matic. Tuck it under your counter and you won’t even know it’s there, it’s that compact and quiet. This model is designed so that it can fit in layouts where space is at a premium, thanks to front air vents that require no extra clearance on the sides or at the back of the machine. The built-in storage bin will discreetly collect the ice flakes as they form and keep them cool for you until needed, up to a total of 25kg at a time. This model also features durable, anti-corrosion stainless steel with finger-proof plastic finishing, and patented scale-control technology, which ensures a long lasting machine life even in high mineral environments. 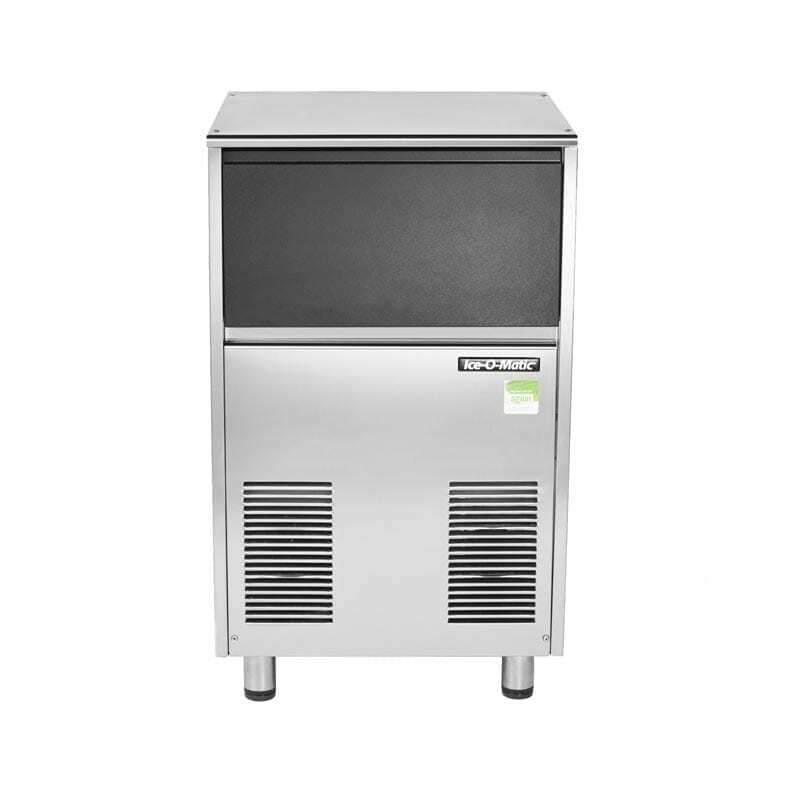 This machine is great for: Cafes, buffets, countertop displays, salad bars, supermarkets, fruit and veggie shops, medical, science labs. A: Strictly speaking you do not need to use a water filter, but we strongly recommend using one. A specific ice machine water filter will reduce any accumulation of mineral deposits within the system, ensuring better taste as well as considerably extending the life of your ice machine. A selection of the best compatible ice maker water filters can be found here.